The RedBull 400 meters... Uphill! The Alpe Cermis is the toughest race in the Cross Country Skiing World Cup. It’s the final stage of the Tour de Ski, a 9km course just outside of Trento (Trentino) Italy, with a total climb of 495 meters! Just search Google for photos and videos, and all the skiers literally collapse in exhaustion at the finish line. 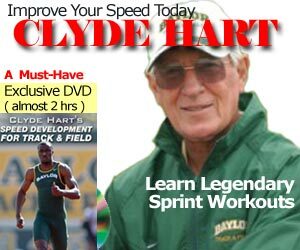 But how about the ultimate 400 meter sprint? How about an uphill 400 meters with an incline grade of 45 degrees? Most good treadmills can only go 30 degrees if you are brave enough to try it. We’ve seen climbing stairs up the CN tower in Toronto, as well as the Empire State building in New York. But nothing can compare to running UP a ski-jump ramp. The RedBull 400 meters was held on a ski-jump in Tauplitz near Bad Mitterndorf in Austria. You have to run on grass, stairs, and then smooth cement where the ramp is usually covered in ice and snow. The use of hands on the rail is highly recommended! They even have a relay if you can’t do the entire run by yourself. The runner with the last leg up the cement slope is allowed to chuck the baton once he or she have received it. Smart advice, as you will need both hands! Check out the video on Vimeo below! Alicia Weber, where are you?